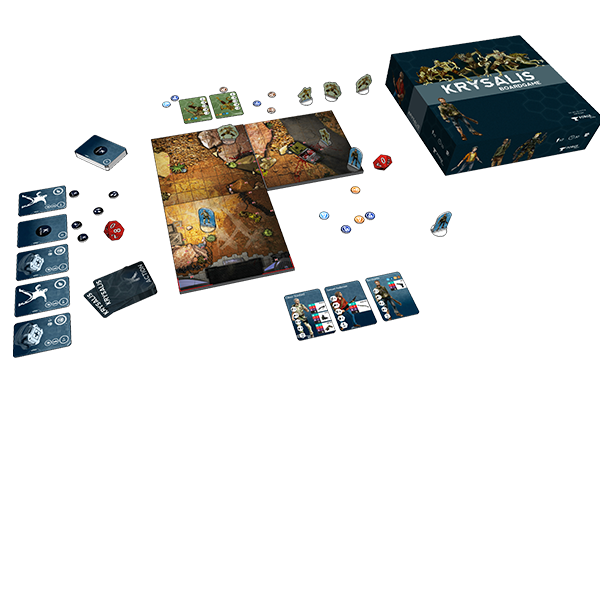 Krysalis is a two player board game where humans who have survived a cataclysm will face humanoid insects in a near future.  The game is simple and fast: a short game is played in 15 minutes and scenarios are available for more motivated players. Humans protagonists are members of a diverse team of scientists and militaries. These twelve characters are initially enclosed in a dome in the heart of Nevada, working on a simulation for a mission to explore the planet Mars. It's only too late when they understand something terrible happens to the rest of the world: the entire human population is gone and monsters roam free on the deserted street of empty cities. Facing this new and mysterious world, the team bound together more than ever to try to find others survivors and understand what really happened. Thrilling into the streets, devouring the last humans, the insectoid monsters have invaded the world. 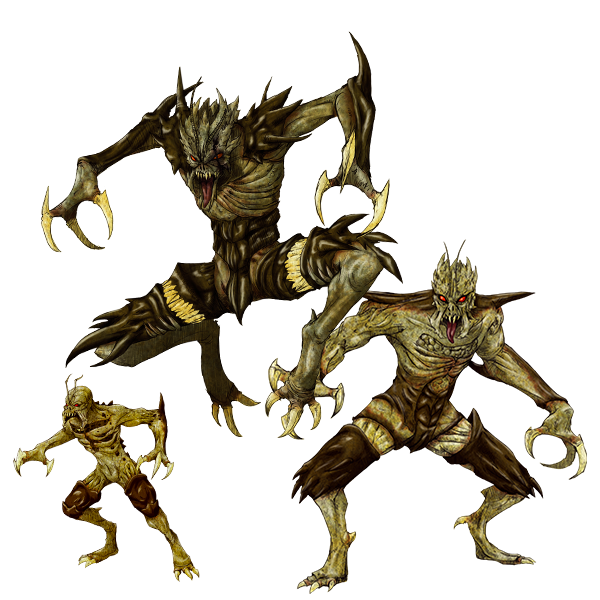 Their hive mind and their special unit are making them great ennemies, some of the monstres are clearly individuals characters. But who are they really ? The material is made out of cardboard, and is made to be printed and assembled easily. But a complete range of miniatures made out of resin or metal will be made to play the game. Krysalis allows you to play customized and fast missions. 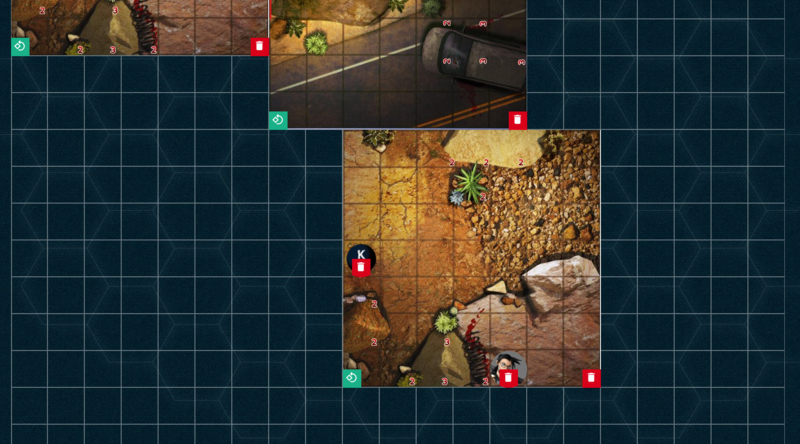 But the players will be able to find an exciting scenario revealed episodes by episodes on the site and through scripted missions. In this online space you will be able to discover the cards of the characters, the objects and the missions. 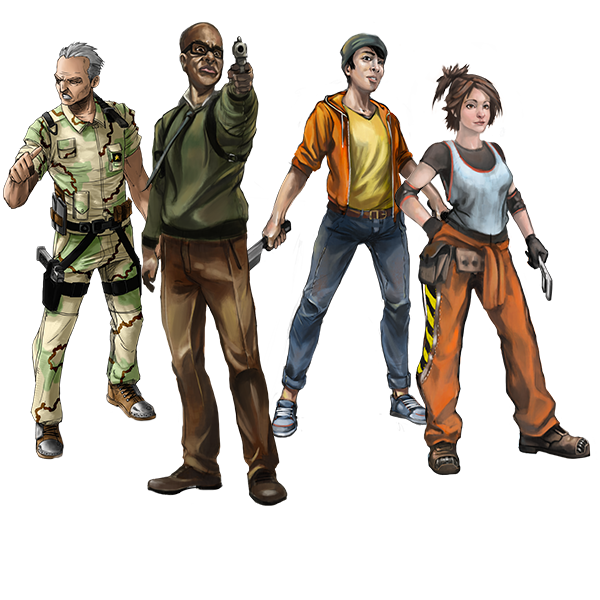 You will also find tools to create and include your characters in the Krysalis universe to develop and share your own missions alongside the survivors.